The SECOND COMING is US….are we ready? and…we are the leaders!!! Watch episodes of the Just Jan Show…. There is a revolution on this planet and it is occurring through the Voices of the Awakening Women. 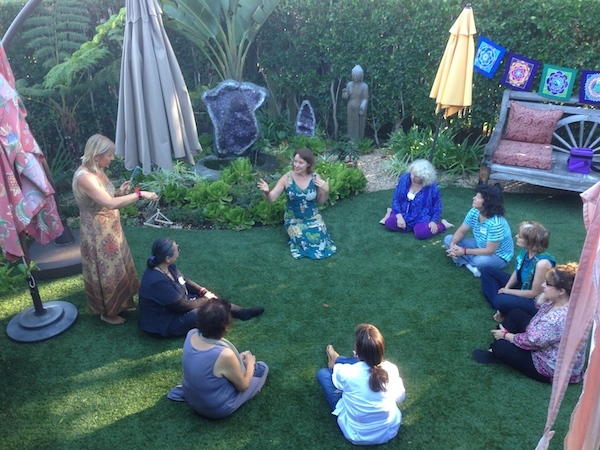 Mothers, Sisters, Healers and Visionaries who are hearing the call to step up and become who they promised to be to help shift the earth and her people back to her senses. As each woman becomes aligned with her intuitively guided higher self all her actions and decisions become purposeful passionate and joyful. Naturally,her rising vibration affects her family, community and global activities. 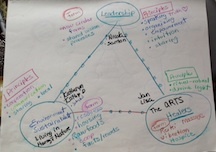 The SOAR participants are active change agents in their community. 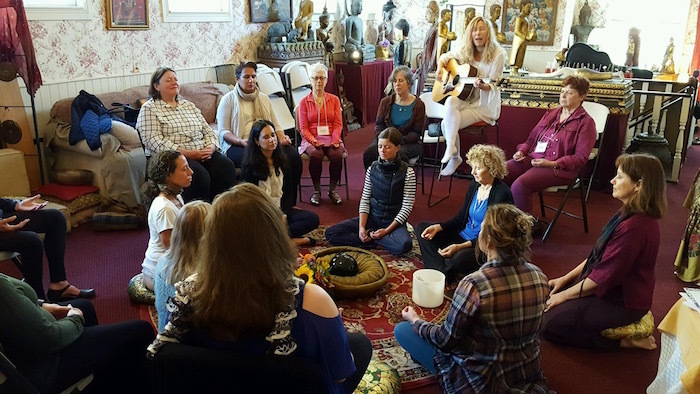 Our organization teaches how to set up a SOAR Women’s Circle in your area…to link up with the bigger geometry of Awakening Women!! the Message is: GET INTO CIRCLES OF SUPPORT NOW!! – Develop an Educational program and global community of specialists in these 3 areas to go out in trios to visit communities around the world. 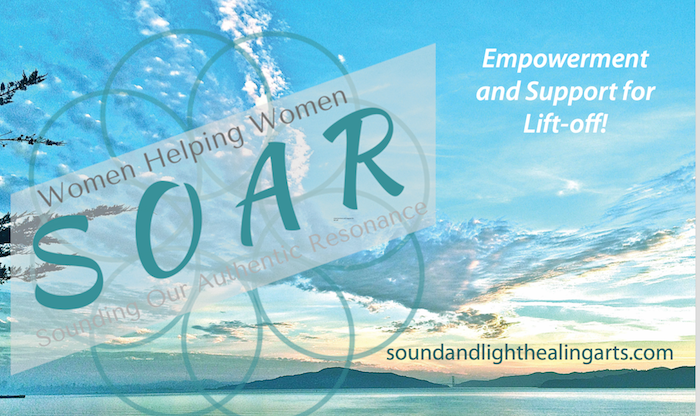 The Goal for SOAR is to make available education for any woman to be in mastery of her energy field and to be a creator being. The “Being Light” principles will form the foundation of our education together and we can facilitate empowerment of each other. A Fear-based society can delude us into thinking we are powerless but the truth is we never lost our right to connect to Source…our Divine light that is powerful and compassionate. Through song, ritual, movement and sharing we make a circle of safety where each can emerge and birth her own divinity and Voice of authority. 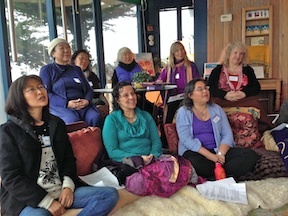 You can join us at our retreat/workshops by watching your newsletter and following the events page. The Long Term Vision is to create a roster of Women in their Leadership Mastery who will go out in the World Visiting Circles of Emerging Leaders. 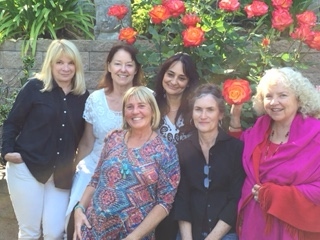 We can travel Globally meeting with Women who are ready for the new Resonance and we will accomplish the exchanges through dialogue and the ARTS. 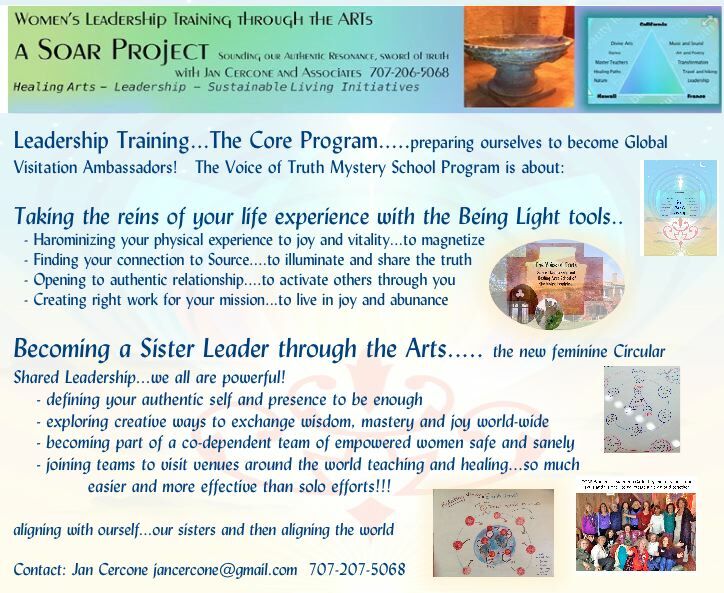 For comprehensive Personal Healing and Alignment and Certification, please consider the Being Light Coaching Program. Would you like support in creating a Circle of Empowered Women in your area? 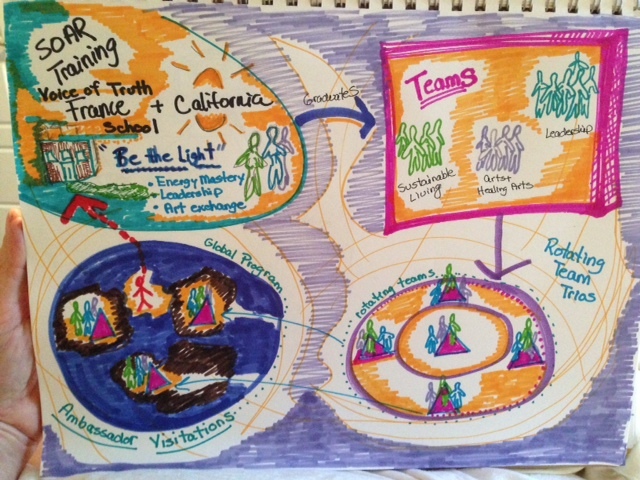 We can visit you, and HERE IS YOUR FREE TEMPLATE for Circle Gatherings!! 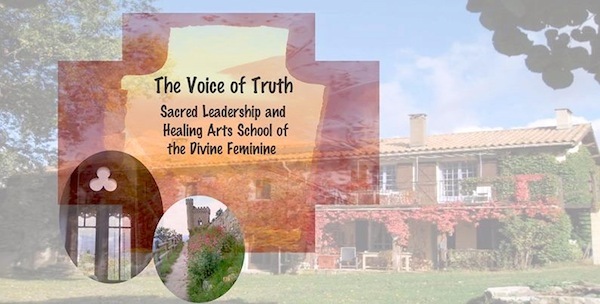 Can you imagine a Voice of Truth Mystery School to create the possibility for many women to gain skills, confidence and the tools needed to be part of this team of Awakened Feminine Ambassadors? Our truth, wisdom, beauty and love must be unveiled to the point where we command reality back to her senses. We are watching for the perfect School Building and eventually the type of funding that would allow resident staff and rotating teachers to create a year round training program. 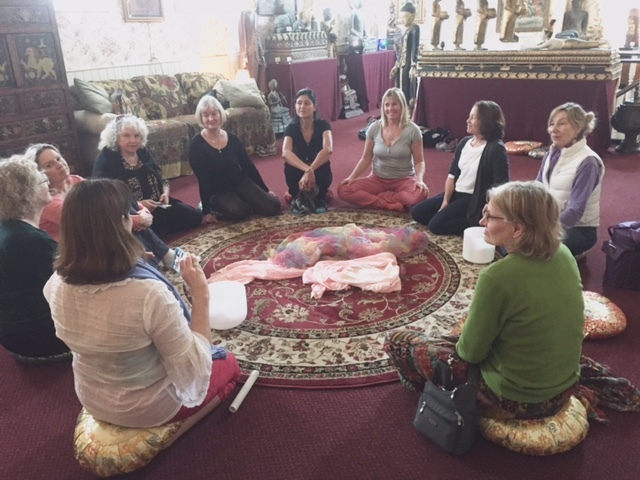 Women from around the world would come stay for 7-10 days and learn from masters how to shift their community for New Paradigm living and there would be a natural interchange taking place. When the Women return to their country they will take the new information and “vibration” back into their homes and communities. If this calls to you, please email Jan to be on our special mailing list for meetings. To be honest…this is just a VISION to inspire everyone to move towards their own mastery and SHARING it. Would you like to Make a Donation to our Non-Profit at this Link…we would greatly appreciate your support!!! What a great weekend Jan. I was very excited to see in my aura reading that my crown chakra was 100%! and my solar plexus was 80%. That is very validating for the work that I did with you during our retreat. Talk about raising my vibrations! You are very talented as a facilitator Jan, you really help amplify people’s soul progress, I am so happy that you are in my life. Also, we did enjoy the ambience of the Gaia house, what an amazing building that is, so many fascinating architectural features. I am having a CD of my photos done for Jody, who I understand is going to send out a compilation for the group. If you like I will do one for you too to use as you wish? So enjoyed Jody’s part in the program, she has a lot of good ideas. See you soon dear Jan. Namaste, Sue H.
Thank you for your beautiful PRESENCE and open hearts to give , receive, co-creating setting a beautiful energetic tapestry of leadership in such a joyous love field way.Each of you have touched my heart with your courage , tenderness and vulnerability.I am grateful for this opportunity to get together in such a Sacred way.Deep gratitude for Jan Cercone to have listened to the call , trusted and obeyed the guidance of Spirit to hold the space both physically and energetically for this gathering to unfold.Jan led us with the rains of love and kindness, and set a beautiful example for Woman’s leadership .Jan Cercone navigated the logistics and interactions ,maintaining her poise , calm ,fun authentic SELF.What a beautiful leader! Inspiring by BEING!!! 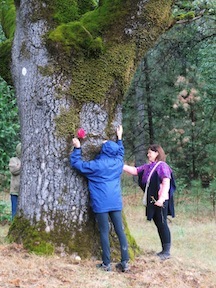 Throughout the weekend , I watched her expressing the message and the needs that would arise with clarity , gentleness and Heart connection.